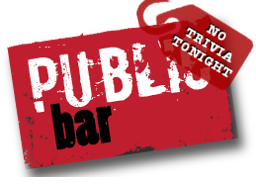 There will be no trivia tonight (3.27) at Public Bar in Dupont, due to a World Cup qualifier. We recommend listening to the We Don't Know Either podcast for your trivia fix. We'll be back next week!